Sorting through all financial advisor firms in your area to find the right advisor for you can be a challenging undertaking. To simplify the search for Grand Rapids residents, SmartAsset has created this list of the top Grand Rapids financial advisor firms. After extensive research into the area’s firms, SmartAsset has laid out below what services each of the top firms offer, the account minimums required, the fees charged and more. To find an individual advisor, use SmartAsset’s financial advisor matching tool, which will pair you up with financial advisors near you based on your needs. For information on every advisor in your area, explore SmartAdvisor Match. For this list, we considered any financial advisor firm in the Grand Rapids, Michigan area registered with the U.S. Securities and Exchange Commission (SEC). All SEC-registered firms are fiduciaries, legally binding them to act in clients’ best interests at all times. Financial advisor firms that did not manage individual accounts, did not offer financial planning or did not have a clean record were eliminated. The remaining firms are listed below, ordered from the most assets under management (AUM) to the least. With nearly $3.19 billion in assets under management (AUM), FormulaFolio Investments, LLC is by far the largest financial advisor firm on this list. However, despite that staggering total of assets under the firm’s control, its team of advisors remains at just 13 members. The advisory team includes two certified financial planner (CFPs) and one chartered financial analyst (CFA). This fee-only firm says it works almost exclusively with non-high-net-worth individuals, a claim supported by the fact that the firm serves 132 individuals for every one high-net-worth individual. This could be because of the firm’s comparatively modest $25,000 account minimum. Notably, Inc. 500 ranked this firm 10th on its list of the fastest-growing private companies in the U.S. in 2017. This was a five-spot jump from its 2016 ranking. FormulaFolio Investments, LLC was founded in 2011. The principal owner of this independent firm is founder and chief investment strategist Jason Wenk. Wenk also owns another firm on this list, Retirement Wealth Advisors, Inc.
FormulaFolio’s services are completely customizable and chosen for each client depending on their specific financial needs. The firm handles investment management, retirement planning, individual employer-sponsored retirement plan management and tax management. FormulaFolio’s investment ideology is based on “emotion-free, proven investment formulas” that its advisors have built through academic research. The firm says that its algorithms will incorporate your financial and investment goals, risk tolerance and current tax situation to ensure your needs are met by your designated time horizon. Once a formula has been built and agreed upon both by you and your advisor, the firm begins a three-step secondary process. The first step is deciding on asset allocations, followed by choosing a money manager and then by the ongoing management of your portfolio. These secondary steps are intended to add a personal touch to a portfolio-building process largely driven by formulas. Retirement Wealth Advisors, Inc. is a fee-only financial advisor firm that connects clients to its large network of 189 financial advisors. The firm’s typical clients include individuals, businesses, trusts, estates, charitable organizations and pension and profit-sharing plans. You must have at least $25,000 in investable assets to open an advisory relationship with this firm. Certain advisors may earn commissions from the sale of insurance policies. However, the firm is a fiduciary, meaning its advisors are required by law to act in your best financial interest. Founder and president Jason Wenk established Retirement Wealth Advisors, Inc. in 2005. Wenk is also the founder, principal owner and chief investment strategist for the top firm on this list, FormulaFolio Investments, LLC. As its name indicates, Retirement Wealth Advisors is heavily focused on retirement. The firm offers retirement planning for impending retirement and income planning for those who are already retired. The firm offers other types of financial services, as well, such as estate planning, trust creation and tax minimization. Your relationship with Retirement Wealth Advisors, Inc. will begin with an opening consultation, during which the firm will ask you about your current and desired financial circumstances, liquidity needs and risk tolerance. A portfolio is then built for you based on your preferences and needs. The firm primarily uses investments like stocks, exchange-traded funds (ETFs), bonds and mutual funds. Through these investing opportunities, the firm seeks to have your funds globally diversified to help mitigate risk. Because the firm believes that managing an existing portfolio is just as important as the process of building a new portfolio, its advisors value rebalancing. This is done both to ensure that your asset allocations remain within target, and so that any new investment strategies can be implemented as quickly as possible. Financial Advisory Corporation is a fee-only firm with more than $528.58 million in assets under management (AUM). The firm's clients include both individuals and high-net-worth individuals. It also advises institutional clients including pension and profit-sharing plans, charitable organizations and other corporations. There is no minimum account size requirement, but there is a minimum fee of $9,500, which makes it unlikely the firm is a match for those with accounts worth less than $750,000. Clients are charged a base fee, plus a percentage of net worth and a percentage of investments. The firm does not receive commissions for selling clients securities or insurance products. There are 10 advisors on staff at Financial Advisory Corporation. The team includes five certified financial planners (CFPs) and five certified kingdom advisors (CKAs). Paul G. Anthes founded the firm in 1988. He remains the principal owner of the firm and acts as an advisor. Asset allocation is a key part of the strategy for advisors at Financial Advisory Corporation. Clients get a portfolio with a balance of equity investments, fixed income and cash. The client’s investment goals and risk tolerance are used to determine the appropriate allocation. Mutual fund analysis is used to pick which funds clients invest in. The track record of the fund manager is considered to see if the investment is a smart one over time. The fund is also compared to other funds the client invests in to make sure there is not significant overlap. Midwest Capital Advisors, LLC, a fee-only firm, has nearly $312.98 million in assets under management (AUM). The firm has five advisors on staff, including three certified financial planners (CFPs), two accredited investment fiduciaries (AIFs) and one chartered retirement planning counselor (CRPC). The firm does not have a minimum investment requirement, but it reserves the right to charge a minimum fee. Fees for investment management are based on a percentage of assets under management, while fees for financial planning services are based on fixed hourly rates. Midwest Capital Advisors advises both individuals and high-net-worth individuals, though most of its clients are not high-net-worth. It also does an institutional business, advising pension and profit-sharing plans, charitable organizations, state or municipal government entities, other corporations and a school district consortium. 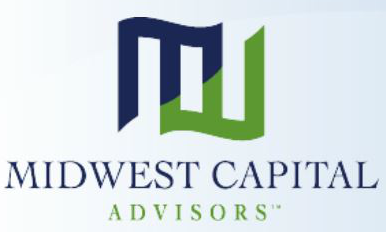 Midwest Capital Advisors was founded in 2003, It is owned by Henry G. Swain, Michael D. DeSmyter and Jeffrey A. Gietzen. Swain and DeSmyter still work at the firm as advisors, while Gietzen is not listed on the firm’s employee page. Midwest Capital Advisors breaks down the global equity market into 12 asset classes including geography, development of the market, market cap and value vs. growth. Each asset class is analyzed using both historical and forward-looking research and analytics. Potential funds clients could invest in are analyzed for absolute and risk-adjusted returns, manager tenures, risk profile, fiduciary measures, fees and style drift, among other factors. All of this information is used to pick mutual funds for clients to invest in as part of their overall investing strategy. The advisory staff at Grand Wealth Management, LLC has a total of eight certifications. These include four certified financial planners (CFPs), one certified investment management analyst (CIMA), one accredited investment fiduciary (AIF), one certified public accountant (CPA) and one personal financial specialist (PFS). This fee-only firm also has the highest account minimum on this list. Grand Wealth Management requires $1 million in investable assets to open an account. Likely because of this fact, its advisors manage more than double the number high-net-worth individuals than individuals. The firm’s typical clients are individuals and their families, including professionals, executives, business owners and retirees. Founded in 2004, Grand Wealth Management, LLC is independently owned by the firm’s top three advisors: managing principal Jeffrey Williams and principals Ellen Winter and Steven Starnes. The team of advisors at this firm has accrued, on average, more than 26 years in the financial management industry. Grand Wealth Management says it bases its investment strategy solely on objective facts determined through peer-reviewed studies and other types of academic financial studies. The firm claims that this has taught its advisors to not to involve emotions and trends in their investment choices. The firm primarily invests its clients’ assets in ETFs, other index funds and mutual funds to minimize risk for even the most risk-averse investor. Notably, the firm avoids using all personal securities and actively managed funds in its client portfolios. Stonebridge Financial, legally known as Global Financial Group Advisors LLC, is a fee-based financial advisor firm managing more than $232.50 million. There are three advisors on staff, but the firm does not provide a list of what financial certifications they have on its website. Stonebridge does not have an account minimum requirement. It does business with mostly non-high-net-worth individuals, though a few high-net-worth individuals are among its clients. The only institutional clients the firm advises are pension and profit-sharing plans. Asset management and retirement plan consulting fees are based on a percentage of assets under management. Financial planning fees are charged at a fixed hourly rate. Some advisors at the firm make money from commissions for selling securities to clients. This is a conflict of interest, but the firm is bound by fiduciary duty to act in the client’s best interest and clients retain the option to purchase the products from other brokers. Stonebridge was founded in 2012. The principal owner of the firm is Bradford James Pinter, who is also an executive and advisor with the firm. Stonebridge uses the following strategies to invest client money: long-term trading, short-term trading and options writing. Long-term trading is holding stocks for longer than a year, while short-term trading is holding stocks for less than a year. Option writing could include covered options, uncovered options and spreading strategies. Fundamental analysis, or focusing on the factors that determine a company’s value, is what informs Stonebridge’s investment choices. Blue Water Asset Management, LLC does not require a specific amount of investable assets to open an account. For every high-net-worth individual the firm serves, it works with almost seven individuals. Although Blue Water Asset Management primarily serves individuals, it also works with banks, pooled investment vehicles, investment companies, pension and profit-sharing plan providers, charitable organizations, state and municipal government entities, insurance firms and other investment advisors. Because this firm is fee-based, its advisors may earn commissions from trading certain securities in your account and from selling insurance policies. Don’t forget that the firm is bound by fiduciary duty, though, legally requiring it to act in your best interest. Blue Water Asset Management, LLC was founded in 2015, making it the youngest firm on this list. Although the firm was formed just a few years ago, its advisors have spent an average of 28 years in finance. Blue Water Asset Management is principally owned by managing member Mark Redfield and chief compliance officer Jay Greer. Blue Water has a unique structure, in that it’s essentially a co-op of four financial advisor firms that work together so each can provide their strengths to the right clients. These firms include Jay Greer & Co., Redfield Financial Group, Stites Financial, LLC and Capital Income Consultants. As a whole, Blue Water offers a broad array of advisory services, including wealth management, financial planning, investment consulting and pension consulting for plan sponsors and beneficiaries. More distinct choices regarding the management of your assets will be made once you’ve made your ultimate financial goals clear. Blue Water Asset Management incorporates modern portfolio theory into all of its investing decisions. For those not familiar with this ideology, it focuses on striking a balance between risk and return, with the stipulation that higher levels of risk should only be accepted if there is a proportionate potential for return. Blue Water Asset Management utilizes many different types of investments when enacting these principles, like money market funds, stocks, bonds, certificates of deposit (CDs), municipal securities, exchange-traded funds (ETFs), mutual funds, variable annuities, real estate investment trusts (REITs), options, warrants and limited partnerships. Calder Investment Advisors is a fee-only financial advisor firm managing more than $186.40 million. It mostly serves individual investors, plus a small number of high-net-worth individuals. The firm also advises pension and profit-sharing plans and charitable organizations. There are six advisors on staff at Calder, including two certified financial planners (CFPs) and one certified public accountant (CPA). Investment advisory fees are based on assets under management while financial planning fees are billed at an hourly rate of $250. The firm generally requires a minimum account size of $100,000. Advisors do not make commissions for selling clients securities or insurance products.  Calder was founded in 1988. Its primary owners are Dirk Racette and Robert Stark. Both are advisors at the firm. Racette is also the CEO and Stark serves as the president of the firm. Voisard Asset Management Group is a fee-only firm that typically serves individuals (both those with high net worths and otherwise), trusts, estates, charitable organizations, corporations and pension and profit-sharing plans. About three-quarters of its individual clients are non-high-net-worth individuals. To open an account with Voisard Asset Management Group, you’ll need at least $250,000. Three members of Voisard Asset Management Group’s financial advisor team are certified financial planners (CFPs). Voisard Asset Management Group’s principal owner is company president Douglas Voisard, who founded the firm in 2002. Although Voisard is the most senior firm on this list, its advisors average just 11 years in personal finance. Voisard Asset Management Group prioritizes determining the appropriate asset allocations for its client portfolios. In general, the firm says that it uses securities, fixed income, cash, mutual funds and ETFs. Voisard Asset Management Group utilizes five investment strategies: short-term purchases, long-term purchases, options, margin transactions and short sales. Although the firm says it focuses on long-term growth, it also attempts to take advantage of market conditions. This is not only done to satisfy clients’ liquidity needs, but also to make gains that can then open up more potential investment opportunities. Strategies Wealth Advisors is a fee-based financial advisor firm with a minimum account size of $500,000. The firm has two advisors on staff. One is a registered financial consultant (RFC), and the other is a certified public accountant (CPA). The firm has more than $102.66 million in assets under management (AUM). Its client base is almost an even split between individual investors and high-net-worth individuals. It also does some institutional business, advising corporations. Fees are charged based on a percentage of assets under management. Advisors may also be registered to sell you securities on a commission basis. This is a conflict of interest, but all advisors at the firm are bound by fiduciary duty to act in the best interests of the client. The firm was founded in 2007 by Michael Berkemeier. In 2017, it registered with the SEC as an independent registered investment advisor (RIA). Asset allocation and fundamental analysis are the basis of the investment strategies at Strategies Wealth Advisors. Assets advisors use include equities, fixed income, international and cash and equivalents. Strategies used by the firm seek to balance growth with risk and find a medium that works for the client.